In almost every way. 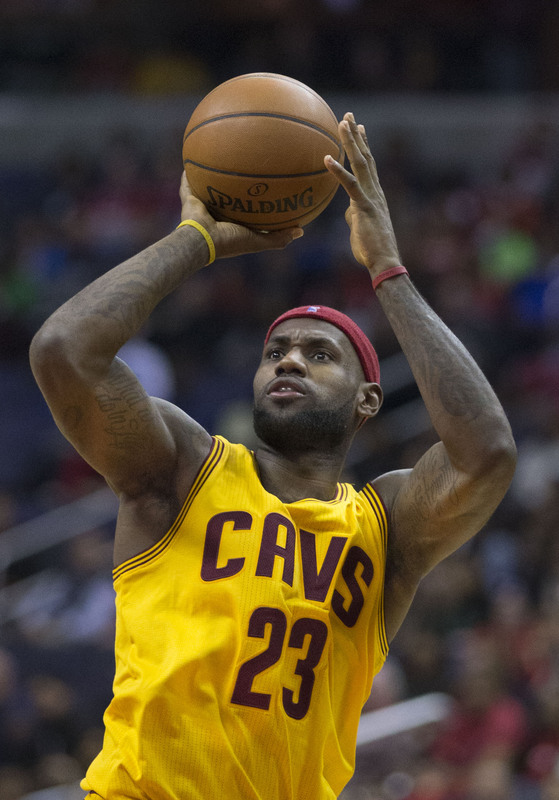 LeBron James’s career has been wildly successful. You don’t need me to tell you that. But for as much fulfillment as he’s provided, there’s one glaring deficiency–one that really has nothing to do with his play, or the success of his teams. But, for better or worse, it has everything to do with what his career means for us and how it’ll be remembered. As he kicks off his 13th season tonight, for a city that doesn’t deserve him, it strikes me as all the more fascinating. 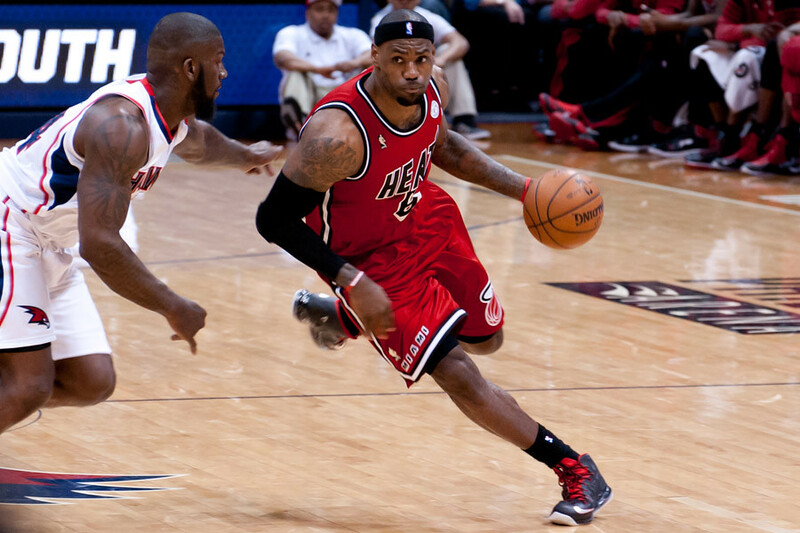 LeBron may be the most gifted athlete we’ve ever seen in professional sports. But there’s one thing that’s always just out of his reach. Before I continue, let me start with a quick brainstorm. When you think about LeBron-assuming you’re even a vague sports fan-what’s the first image that pops in your head? What’s his definitive shot? What’s your top ‘I remember where I was for that game’ memory? What’s the perfect LeBron story? Put like this, these questions feel hard, don’t they? Shouldn’t they be easier? This point may seem crazy, but start thinking about his career, and you’ll recall more amorphous thoughts than specific images, incomplete narratives instead of fairy tales. Early on, he was a physical alien hemmed in by the comical limitations of his Cleveland teammates. He won his first ring in 2012 against an absurdly-stacked Oklahoma City team, delivering master classes in how to control a game in the process, but he did so with few memorable highlights, and the series ended in anti-climactic fashion. When he sealed the next year’s Finals with a dagger jumper, it didn’t break a tie—as it could have if Tim freakin’ Duncan had made a lay-up on the previous play—but merely solidified a 2-point lead. When he drilled an unfathomable game-winner in 2014 against Golden State, it swished through the net, not at the buzzer, but, somehow, at 0.1 seconds. When he’s made clutch shots in the playoffs, they’ve often been lay-ins, which inevitably lack the anticipatory elegance of a jumper—that second or two when the ball arcs through the air, the defenders turn to watch its fall, the shooter lands, and the whole arena holds its breath. It’s hard to shake the feeling that the extreme impact LeBron’s game has on the court hasn’t been commensurate with the dramatic imprint it’s left us with. On a more macro level, James’ career progression has never lent itself to easy classification or handy narratives. He’ll never be associated with just one coach, one city, one uniform number. So many of the narratives that we might try to connect with him to aid our memory—that he’s the first player his size to play so many positions, that his move in 2010 to play with other star players was unprecedented—simply aren’t true. The narratives just don’t hold. You might think that he embodied a classical fable with that Game 6 in Boston in 2012—a hero being pushed to new heights by an older, more experienced foe—except the reality still didn’t fit. He wasn’t pushed anywhere new; he’d already proved himself in the same round numerous times, and he’d even beaten that same Boston team in the playoffs the year before. We wanted a convenient and persuasive story arc, but it wasn’t there. With LeBron, everything always comes back to Michael Jordan, and that makes this phenomenon all the more interesting. Think about it, and you’ll realize that MJ isn’t beloved just because of his talent, but also because so much about him was dramatically perfect. Every single thing about MJ felt cinematic. The archetypal rogue-agent-who-must-cultivate-selflessness persona. The ridiculous, unnecessary, endlessly-replayed move from the 1991 Finals. The barrage of three-pointers in Game 1 in 1992. The Flu Game, a mythical tale if there ever was one. Him holding the pose after his last shot with Chicago, the charismatic actor pausing and smiling one last time before the screen fades to black. And not only did Jordan lead another cursed sports city to the promised land (whereas James’s first two titles will always live in shadow of Dwyane Wade and 2006), but his statistics, moments, games stick in your mind effortlessly—those fadeaways, the red #23, symmetrical three-peats, 30 points per game average, the championship-sealing jumper in 1998 that was both slightly more crucial and more elegant-looking than James’ in 2013. His had that momentary hitch before he rose up. Jordan’s highlights never seemed to have a hitch. When MJ hit “The Shot” in 1989, everything about it was so divine—the unbelievable air time, the fact that it won the series at the buzzer, that it perpetuated the Cleveland sports curse—no writer could have made an improvement. It was destined to live on forever in our collective minds. When LeBron won Game 1 of the 2013 Eastern Conference Finals with a lay-up, we immediately shifted our focus away from the shot and onto the Pacers’ decision to bench their center for the play: it was as though the moment was too boring and anti-climactic for us, causing us dig up any other interesting angles we could find. That never seemed to happen with Jordan. This phenomenon may explain why LeBron hasn’t received praise commensurate with his abilities, whereas Jordan defenders speak of him as though he’s a mythical creature; he often seemed like he was. Likewise, this is why Kobe Bryant”s fans appear so much more devoted than James’s; there may not be much on the court he could do better than him, but he won a handful of rings for the roaring Hollywood crowd of one of the five most famous franchises in all of American sports, all while embodying both the physical style and emotional sensibilities of MJ, and that stuff matters. Of course, my entire premise was nearly rendered moot this past year by LeBron providing a more epic story than anything Jordan ever did. If he’d signed with Cleveland, the former hero returned home and reformed, and instantly delivered a championship to a city that hasn’t seen one since before the Super Bowl existed…I mean, the movie version would have been greenlit during the trophy ceremony. Furthermore, when injuries decimated the Cavs’ roster, James threatened to embody our favorite archetype, the one that MJ and Kobe and Clint Eastwood and Jason Bourne personified before him: the over-matched but indefatigable star who keeps coming, keeps shooting, keeps driving towards his goal, alone, against prodigious odds. The circumstances surrounding July 2014’s Decision 2.0 and the Kyrie Irving and Kevin Love injuries almost produced the most impressive and fantastical story in NBA history. Almost. Instead, as in 2014—when LeBron’s quest for a legacy-defining three-peat was squashed by the Spurs’ machine-like ball movement and Dwyane Wade’s shocking mediocrity—the pages ran out. Cleveland’s comically weak supporting cast wilted under Golden State’s pressure, James fell to 2-4 in the Finals, a desperate city lost another title chance, and we lost another opportunity for an epic memory from the greatest player of our generation. It’s no revelation to say that sports fandom is emotional. What interests me is how similar it is to other forms of entertainment consumption. For example, it’s becoming more and more clear to me that music preferences are largely affected by extrinsic, psychological, seemingly irrelevant factors. We don’t fall in love with artists because of subtle chord changes, but because of what they embody, what they were the first to do, what they make us feel. And we don’t stay up past midnight with an early morning alarm waiting for us in order to see cold, boring efficiency on the court. We do it to capture moments that resonate with the epic scope of our favorite movies. I categorize life events by whether they happened before, during, or after certain unforgettable sporting events, and I can’t be alone. And without the ‘flashbulb memories’ provided by the perfect situations, it’s simply impossible to remember everything. LeBron is a shining example that talent doesn’t always create these moments. Some of this failure can be traced to the man himself, but so much of it feels frustratingly random; any possible disparity in talent between him and Jordan is certainly smaller than the disparity in the number of iconic moments in their careers. And when the career of a transcendent athlete lacks some of this glamorous, cinematic panache, it’s not only less fun, but it also feels profoundly wrong, as though the script is being mangled and needs to be re-drafted. LeBron should have been the MVP of this year’s finals and wasn’t, which is both ludicrous and strangely fitting. Just as with that Game 6 in 2013, where we’re not totally sure what to make of him, given that he needed Ray Allen’s (unbelievably cinematic) three-pointer to stay alive; just as with that finals record, which is logically understandable but nonetheless discordant with his status as an all-time great; with even that Game 6 evisceration in Boston, when he would have gotten to 50 if he hadn’t been taken out of the blowout early…something was a little bit off. The New York Times ran an article after Game 1 of this year’s finals, where James scored 44 but missed a potential game-winner and ultimately lost, with the headline “LeBron James Misses, and a Sense of Destiny Evaporates.” LeBron doesn’t miss very often—as of today, he’s made a higher percentage of both his 2-pointers and 3-pointers than Jordan did, and it makes perfect sense that no one knows that—but the headline reflects the hole in his career. Sometimes life can remind us of the randomness of these games while simultaneously fading out their memories; that level of cruelty is underrated. There was a sense of destiny to seemingly everything Jordan did. LeBron just hasn’t been a good enough screenwriter. I’ve been thinking about this since I read it yesterday. I agree with your general premise that his basketball moments have lacked the drama and obvious narrative. He lacks a definitive on-court moment. On-court. I think you know where I’m going with this. “The Decision,” which you mostly talk around, is still the big shadow over his career. I think we agree this is BS, but it’s true. There’s a part of his legacy that will forever be “tarnished” by his “cowardly” decision. On the other hand, I agree that his return to Cleveland swings the perception of the macro-narrative of his career. It almost breaks his career into acts: Act 1, his first stint in Cleveland, where he grows frustrated as he never quite wins a title. Act 2, he turns heel, indulges his “selfish” impulses rather than continue to battle it out on his own “heroic” self, joins the Heat, wins some “””easy””” titles with other stars. Act 3, he cuts ties with the villainous Heat, makes his glorious return home. Winning by himself against Golden State would have been the ultimate capper, but as long as he wins a title before he leaves, it’ll still fit. I don’t know. Maybe the Decision is still the big shadow over his career. It just feels to me like a somewhat immature thing he did when he was 25, which would be one of the most normal things about him.